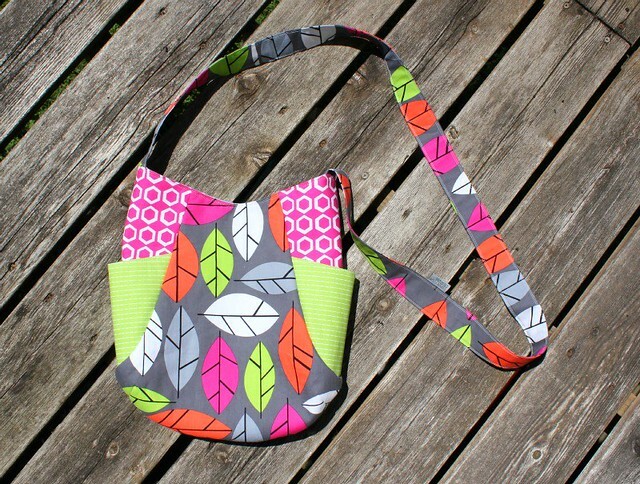 Canoe Ridge Creations: 241 tote | summer sewing contest & GIVEAWAY! 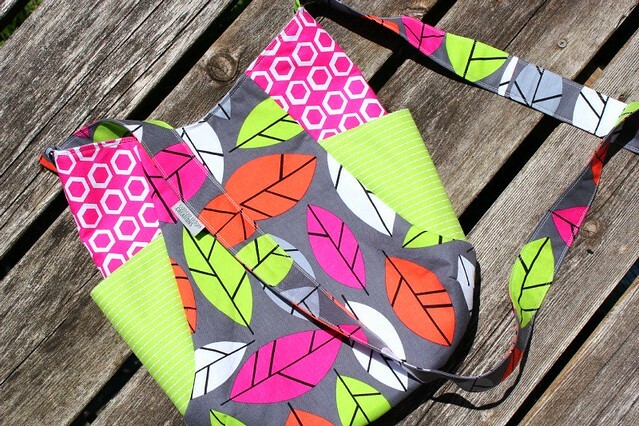 241 tote | summer sewing contest & GIVEAWAY! 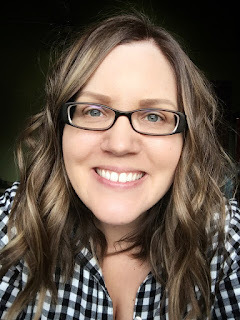 Today I’m super excited to share my stop on the Summer Sewing Contest blog hop hosted by Jennifer of Ellison Lane Quilts. Nothing says SUMMER better that a new bag – especially a fun, vibrant handmade one! The 241 Tote pattern by Noodlehead is the perfect size for an afternoon at the pool, a weekend getaway, trips to the park – it’s really just an AWESOME bag! I made my 241 Tote using some prints from the Stockholm by Robert Kaufman fabric collection. The saturated neon colors + gray + bold geometric design makes my heart sing! Doesn’t it just remind you of a hot summer night?! You can find it at Contemporary Cloth and Mad About Patchwork. 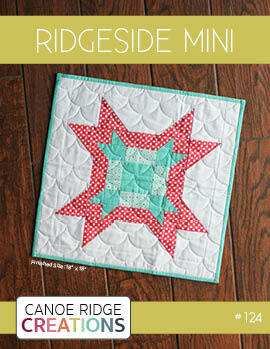 As for the pop of lime green, I used some Lush by Patty Young – which is such a great fabric to have stashed! Fat Quarter Shop has some available here. This was my first time using Pellon Fusible Fleece in a bag and I am hooked on this stuff! It’s super easy to use and helps maintain great shape and structure to the bag. Not too flimsy and not too stiff, this stuff is just right! I’m super excited to give it a try in some zipper pouches! I did make one minor adjustment to the pattern. Rather than have a shorter, over the shoulder strap I decided to make my strap a bit longer. That way I can wear it across my body and more importantly, will be able to have by hands free when traveling + shopping! 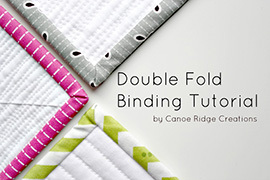 I highly recommend this pattern to anyone and everyone – it’s for all sewing levels! If you are a beginner (especially with bags! ), this pattern is a great place to start. With such well written instructions + pictures + pattern pieces, you will have bag sewing basics down in no time! And for those of you that have been sewing for years, you will love the 241 tote’s basic bag design + shape! You can find the 241 Tote pattern from Noodlehead right here. 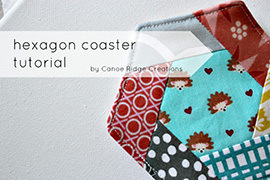 It’s available as a downloadable PDF pattern, so you can get sewing right away! 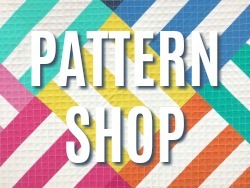 Here’s something SUPER exciting, Anna from Noodlehead is giving away two 241 Tote PDF patterns! Just leave a comment telling me what you have planned this summer – sewing & otherwise. You have until 5pm CST on Monday, May 14. I’ll announce the winners on Tuesday! Thanks again to Jennifer for hosting the Summer Sewing Contest and be sure to check out the other stops on the blog hop tour! May 16: Olive and Ollie & I Like Orange, Too! I have a busy life, bookseller, quilter, Tai Chi teacher and this summer we're taking 2 vacations. The first, NYC, then Bermuda. The second, a two week tour of baseball parks with our daughter and 12 year old grandson. A much needed holiday and finishing my Swoon!! I love your 241 tote! Fabulous colours! summer is busy time at work for me, but i'd like to finish my Swoon quilt - it just needs backing & quilting! I did make her Go Anywhere Bag already. My favorite bag until now. Use it everyday and definitely need to make a summer version. LOVE your 241 tote bag. We have a lot of camping planned, and I'm hoping to finish 1 quilt. Every summer I finish 1. I love your bag! I'm planning on doing some smaller projects and hopefully some handsewing! Visiting both coasts this summer; from Texas to California to Texas to Florida! What a great bag. Just lovely, Megan. This summer - visiting family, a trip to Seattle, lots of time outside riding bikes and playing with the kids! My most important plan for this year is going to the festival of quilts, missed it last year, so I'm super excited! I am planning to spend as much time with my sister and mom this summer. Time is precious!! Spending time with my three girls, relaxing (oh wait... see #1 ;) and gardening, reading, sewing, quilting, etc. I have way too much planned, but I'm going to try to get it all in before the students all come back in the fall! We have lots of camping trips scheduled, and of course always quilting - several baby quilts to do. But now I want to make one these totes. Perfect! Thanks for the opportunity to win. It's no wonder I see this tote made up all over flickr, the pattern is so great. I'm going to tackle the endless sewing projects - although that's not exactly any different than the other seasons but at least I'll be doing it in the sunshine. Love the long days of Summer. I have foot surgery planned for the middle of summer, with some camping before and after. I am planning to take some day trips to the ocean, hop down to Portland a few times, and generally enjoy the small window of sun that we get each year in the Pac NW. 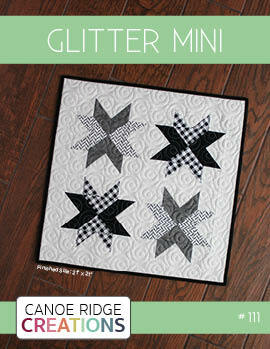 :) I am also hoping to finish a number of quilts including starting to hand piece a hexi quilt. Thanks for the chance! 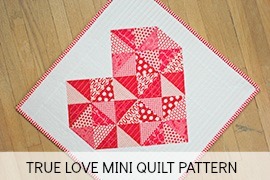 But I also hope to be able to get some quilts made! I plan on a lot of camping and swimming this summer. While camping, I will be quilting and sewing on my hand crank sewing machine while out under the trees. Thanks for the chanced to win!!! This is a cute bag. I have two birthday quilts to make for grandchildren this summer, in addition to all of my WIP's. Really cute bag, I would love to make one. My summer plans so far are a lot of sewing, some gardening, and job hunting. Besides the usual (work, etc.) I plan on finishing my first quilt (with several more planned), sew some t-shirts and purses, go on vacation with my family, enjoy having our daughter home after her first year of college, etc. Thanks to all for the chance to win! I would love to make this bag for summer, looks great, love the shape! As for summer I want to finish my retro floweres quilt and and a few other projects that I am in the middle of. Thanks for the chance to win! So much planned this summer, rompers, Tovas, quilts, bags, and Stitched in Color's hand stitching class! SWEET! I have a crib quilt to finish - only a bit of quilting left to do. I plan to make capris, a few pairs, as store bought ones look like flood pants on my short legs. I also want a few blousy rayon tops - cooler than t-shirts. Lots of sewing is on my list. I'd love to make the 241 Tote bag out of Washi fabric line. I do want to make sure that I give myself some time to read a few books too for the summer. I've been noticing some fab bags with that pattern, and I'd love to make one! It's actually winter here so there are quilts aplenty planned. And pillows for our new sofa. I am going to Florida and Michigan. I have never really gone anywhere before without family. This will be my first time and this bag would be a perfect accessory. Lots of sewing: clothes, quilts, bags, and some other projects. Also lots of playing with my son. I have a bunch of stuff on the list so I will be very busy!! Thanks for such a great giveaway!! Love that bag! And this summer I am looking forward to a relaxed schedule and working on my hand stitching in Rachel's camp. Thanks for the giveaway! What a darling purse. I admire bags and purses all the time but have not yet made one. This sounds like the perfect one for my first. My plans this summer are to stay busy. My son, in the USMC deployed over a week ago to Afghanistan. This is his first deployment and I'm thinking of him 24/7. One bonus is his wife and their 18 month old son have moved and are closer to us. I plan on lots of play dates with him and being a great grandma! Thank you and Noodlehead for a super giveaway and a chance to win. We just moved to the Bay Area in CA, so me and my kids are going to explore as much as possible when they are out of school. And that is what we have planned this summer. Your tote looks great. The pattern would be fun to try. I have been wanting to make this bag forever!! I love yours, it looks great. Our plans this summer include visiting family in Idaho, Wyoming, Montana and Utah. Not to mention lots of beach time on the Oregon coast! I love summer. Summer is for sewing. I have a quilt to quilt, a dress for grand, and a blouse for me. Love the bag; hope to win pattern. When you live in Snow Country, you have to cram a lot into 3 months! 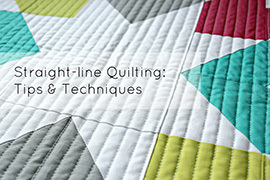 Quilting, of course, doesn't go completely away, but it doesn't take front and center demand. Bike riding, hiking, camping, golf and a vacation to Yellowstone. It's all good! Oh it is fabulous Megan! I love the colors- perfect for summer. I would love to make one of these- 241 is on my to-do list. I'm also hoping to make a few dresses for my daughter and a summer weight voile quilt for our bed. I better get started! Thanks so much for being a part of the blog hop Megan! I'm getting a puppy! And doing a little traveling around Oregon, where I live. I've been here for almost 3 years and haven't really gotten around the state yet. Then, in August, friends are coming to visit (from Southern California) and we're planning a trip to the coast! I also plan on doing a bit of sewing in the back yard ~ hand sewing! Want to spend as much time out there as I can ~ it rains here so much of the time and don't get to enjoy my back yard as much as I'd like. We've got a trip planned to Vancouver Island. Our kids (3 and 5) have remained landlocked in Alberta all their lives and we are excited for them to see the ocean. I'll be trying to keep up with my kids and will be toting my hexi project everywhere we go! This summer, I will mostly be carting my teenage daughter ( one more year until she can drive leads to mixed emotions) to all her activities. We will be flying down to visit family for 10 days. Love this fun tote, the colours are perfect for summer! I don't have big plans this summer, but I am planning on going to Boston for a long weekend with a friend. Thanks for the giveaway! I've got a few overdue gift quilts to complete. I'm really looking forward to getting those done, because then I'm planning to cut into those fabrics that I've loved too much to tackle before. It's time! 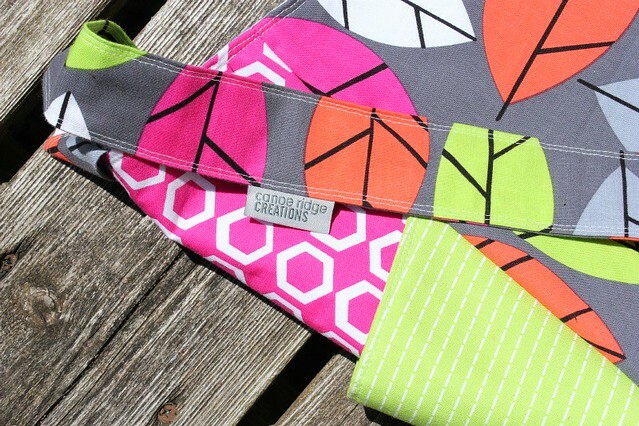 Love the fabrics you chose for your 241 Tote. Gorgeous! This summer I intend to get items made for Christmas presents so that I don't spend November and December totally stressed this year. Very optimistic of me but I thought I would aim high! To the beach of course! Only seven more days! Our big plans consist of camping and hiking. Love the tote. Great in bright colors. I love your bag! I'm going to Spain for vacation and there I can sew som smaller things like bags and totes and table runners. Summer plans.....some down time with the family is at the top of the list! No specific plans, just some R&R! My plans are to get an exercise and diet plan in order so that when the fall comes, I can incorporate it into my teaching life. Usually I stop everything to teach, but this year my health has to come first! thanks to you & Noodlehead for the giveaway!! I'm trying very hard to finish my Swoon top and my poor ZigZag QAL top from last year. And taking a handstitching class. ...I'm already worn out thinking about it. I'll be spending my summer sewing time getting ready for three craft fairs I'm doing in the fall, taking a week with the hubby and kids up in New Hampshire for our family vacation and my annual visit to Keepsake Quilting (yah! ), and the usual running kids here and there and enjoying the no-schedule pace of summer! That bag is darling! I love love love bags! finishing a quilt, and sewing bags!! i made my first bag with a free tutorial and ive been debating a purchase ever since!! would love to win this of course! thanks for a chance, and i love the fabric combo in your bag. I am going to work on Noodleheads Envelope Clutch Pattern. i purchased it the day it was released and must make it ASAP. For this summer I have a vacation planned to take my babies to the beach for the first time!!! As for sewing, getting as much done as I possibly can!!! Thanks for the chance to win! I'd really love to make this bag - that's what I'd like to do this summer! Would love to win this pattern, have been eyeing it up for a while. My usual plans.....do nothing except play with sewing and grandkids. I'm hoping to get 2 lap quilts made for my niece & her husband. Other than that, maybe get my brother's quilt started. This is going to be a UFO summer for me! i want to finish finish finish all my beloved projects! Oh, I love this tote! Thank you for the opportunity. This summer I hope to work on planned sewing projects - 3 quilts to finish up, making some linen shorts after drawing up a pattern based on my favorite pair that are falling apart, finishing up a shower curtain, and sewing cushion covers for front porch chairs. Most importantly, I have dedicated this summer as my time to devote to healing and improving my health. This is lovely! I don't have much for plans this summer. I had to save all of my vacation hours at work for the fall when I'm getting married so I'll mostly be working and helping my fiancee get his shop ready to go (plumbing business). So, busy with work! What a great tote! I am getting ready to make a baby quilt for my nephew that is due August 6th. This tote would make a great diaper bag! Thanks so much! I have three quilts that need finished AND I need to make more. I also plan to do some fun things with machine embroidery...and maybe even find some time to rest and relax. Love, love, love the bag! So cute and awesome fabric choices! I'm going back to work at the beginning of June, after being laid off for a year, so that will keep me busy. And my daughter is starting high school this fall, so we have a lot of preparations for that to take care of this summer. I'm planning on getting in shape - no, seriously, I'm trying hard to make time for exercise and eating right. I love your fabric choices for that bag....it's fabulous! Well, if I win this giveaway, I'll be making a bag! Ha! But mostly, I'm hoping to go swimming lots and spend time with my little girl. Nice tote! I'll be spending time with my two little girls and hopefully they'll let me sew a bit. No exact plans yet. It's a busy summer for me, and almost everything's happening in June! Will meet my 2nd grandson in early June, taking my first quilting class, taking an on-line hand stitching class, and going to a national women's conference in Orlando - whew! 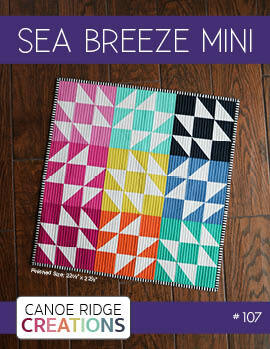 This summer...I'd like to make a beach quilt - all turquoise, blues, light greens like sea glass. I guess ideally I should make this before summer hits but let's be realistic.... Great tote! I'm looking forward to growing some yummy vegetables, catching up on my to-do list, and doing some major stash busting (usually means bags)! I'm looking forward to spending lots of quality time with my four very young kids (I'm a teacher - so I'm counting the days 'til I'm out of work). No specific plans for sewing - I just hope to have more time to do so. Lots of family visits to look forward to. Hopefully some camping and visits to our farm. This summer we'll be getting together with relatives, working on the house to prep for a re-do, and personally, I'll be sleeping in because I won't have to drive kids to school!! This summer I plan to actually get back in to my sewing room and to spend as much time as I can get away in the mountains. I love your 241 tote! This summer I plan on finishing two bags I've started but now I think I also need this tote! This summer I plan on finishing two bags I started but now I really want to make one of these 241 totes! Your tote looks great! I love this bag esp the fabrics!! I just have lots of fabric to use up before I buy more so I would love to win the pAttern! Thanks for the chance to win! I love this bag. You picked awesome fabrics to use. I am going to be camping a lot this summer but I signed up to make dresses for Africa so that is what I am working on right now. I'll be teaching mostly, but I'm trying to plan at least one trip to the beach every week with my kids and am hoping to start way early on Christmas present sewing. Yikes! Is summer already on the brink of here?! We've got graduation, camps, work, play in the woods, swimming...I need to "schedule" some down time in there somewhere! Love the bag for summer! Can't wait until the warm weather decides to stay in the Midwest! As soon as the school years ends, my husband and I are heading to California. Great bag! Summer plans are to try and keep my garden free of weeds and maybe take some day trips to the lake. I'll try and sneak in a little sewing from time to time. I want to make some tote bags. Love the bag! I've got two quilts to finish and I'm finally going to make a lunch bag! Cute bag! I'll be headed down to the museum for movies (and knowledge) and taking my English paper piecing with me! Fun in the sun hiking, swimming and boating. And probably a bit of sewing too. :) Thanks for a chance to win. I plan to sew my embroidery 101 quilt ... Your bag looks great! Thanks for the chance. I plan to do a lot of sewing. I have been seeing a lot of bags in blogland and would love to try one. This pattern looks great. Thanks for the chance to win. I have lots os sewing and embroidery planned. I want to make my Watermelon Bali Pops quilt, finish my yo-yo quilt, make some summer skirts, some tote bags with Hoffman "Passage To India" fabrics, a quilted wall hanging featuring a peacock, on and on! I'd love to win this giveaway. This summer I will enjoy weekends in the Pocono Mountains with my family and hopefully a lot of free time for sewing! A trip to Cape Cod is the only definite trip planned but we will probably also take a trip to visit family. I am doing a little kitchen redecorating. New curtains, place mats, a wall hanging and some potholders are in the works. Summer plans? I'm in two of my friends' weddings. Once those are over, take some time for myself and relax a bit! What a neat bag. My husband and I will be babysitting our 4 grandbabies for 4 days while their mom and dad go on a vacation. I am hoping that my husband and I also get to go away for a couple of days just to do nothing. Pellon FF987 grows on you.... and you will have withdrawal symptoms if you run out of it!! I make all of my totes and purses with it. I will be getting things together for our son to go to college in the fall, and sewing totebags and mug rugs . I am planning on some summer travels to visit family and lots of fun with the kids. Family time on the road...for a long time! Absolutely love this bag, and the fabric is to die for... I am hoping to finish my son's quilt for his bed this summer, start my other son's quilt and maybe even finish it. And I just found out I am going to be an Auntie again, so add that quilt to the list too! We'll take a week in Annapolis and the surrounding area. On long weekends, we'll squeeze in as much fun in the backyard and parks as we can! I also need to get working on my daughter's new quilt for her big girl bed! 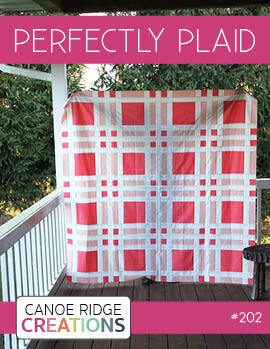 Sewing a quilt this summer. Love your bag ....the colors are wild!!! We have a Disney trip planned that I'm really looking forward to. As far as sewing, I am working on the Zakka Style Sew Along at LRstitched. I've had my eye on this tote pattern for a while now. Thanks for the chance! No vacation plans - but I just went part time at work, so I am looking forward to having at least one day a week at home with my baby girl, and having time to take her and her big brother (my step-son) to the pool some days. These are things I haven't been able to do in the past because of my work schedule, so I'm excited! Such a cute pattern! I plan on making more accessories for my living room in the Annie's Farm Stand line by Holly Holderman. This summer I plan on working on my Farmer's Wife quilt blocks that I'm making out of the beautiful Denise Schmidt fabric lines I've collected. I'm SO in love with her fabrics! Oh what a great summer is planned. Our son is getting married! What a happy round of parties. I hope to make lots of small gifts to give to dear friends. My sis usually vists in June, and that is the highlight of my summer. Sure would love to make her this bag using a free pattern. One graduate this Spring. Then we raise produce for local farmers markets in the summer. Waiting for the arrival of a new nephew. We also have a visitor coming for a couple months on her summer vacation. And between farming and daily life we hope to do a lot of rehab work on the yard and house. So I will be pushing for the inside work - curtains, shades, pillows, yarn work for market, etc and trying to see where we can fit in social activities out here too. I love the country in summer. Finishing memorial quilt for my sisterand start two more for my other sister and brother,two baby quilts by July 15, and put in 40 hr/wk at my job plus keep up with my husband, daughter and her family! Summer will be full!! We're moving from town back to country (not too far, just right for commuting) and I'll have a family reunion of sorts when many of us meet in Japan for my brother's wedding. My first trip there....I'm excited! Love this 241 bag-- it's so versatile! We're moving from town to country (not too far, just a good commute) and then I'll be going to a reunion of sorts when some of us meet for my brother's wedding. Long trip, but I can't wait to see everybody! I love this 241 bag-- it looks versatile and it looks like a really comfy and striking bag. It's actually winter in the Southern Hemisphere so I'm keen to get some quilts finished. The weather has suddenly turned chilly so we really need these! Love the bag! The fabrics really make it WOW! We're planning a pretty quiet summer...take care of the garden and just slow down and spend time with my kids! Love the bag! I am in the process of cutting fabric for this bag! I noticed you used Pellon fusible fleece rather than the woven fusible. WOuld you recommend the fusible fleece over the other? Just curious... Thanks for the wonderful ideas and inspiration! Cute bag. Noodlehead does a great job with her patterns and tutorials.